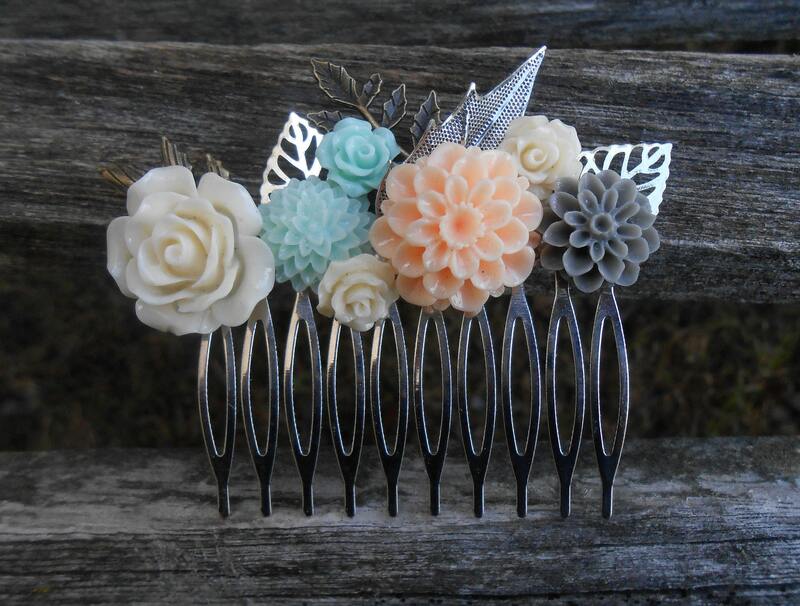 This shabby chic hair piece is the perfect thing to wear for a wedding or to give as a gift! It is completely one of a kind. 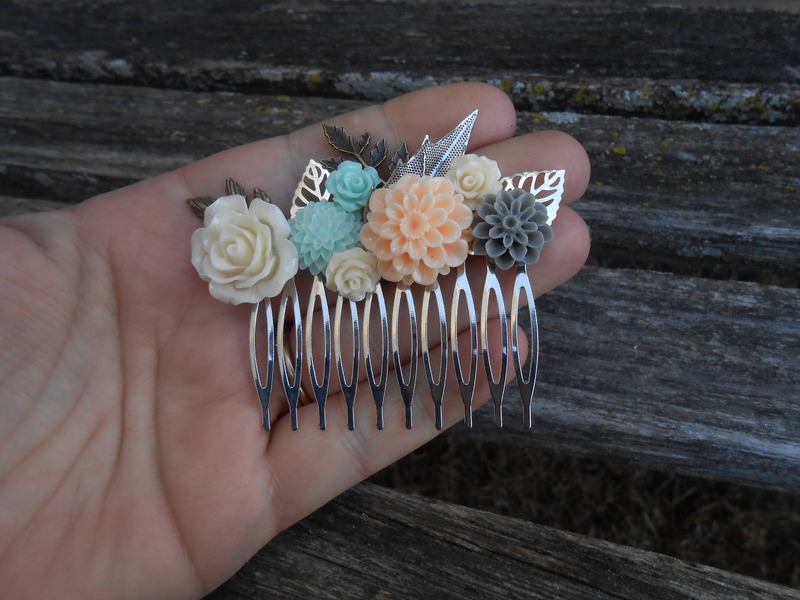 The decorations are on a 2.25" wide comb, and the tines are long enough that the piece will stay in your hair, without a problem! 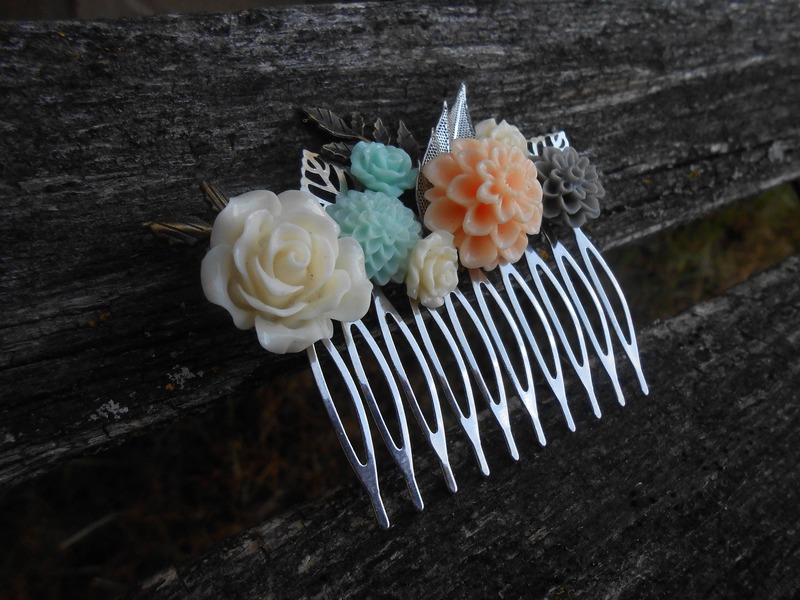 The flowers are ivory, mint, peach, and grey. 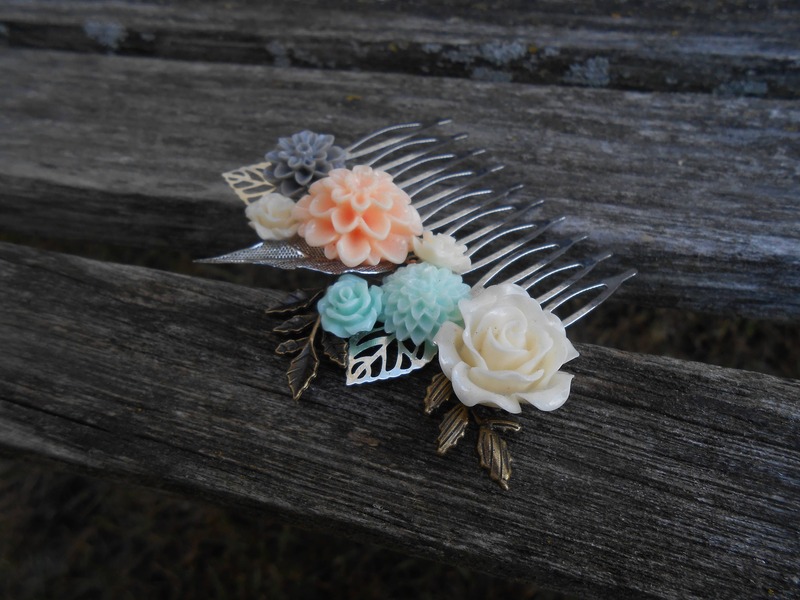 There are silver and antique bronze leaves. The total width is 3". 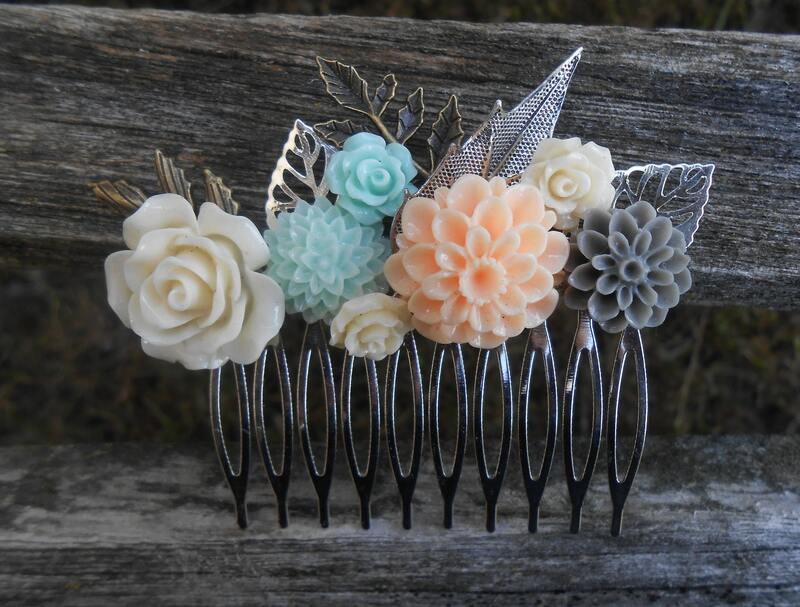 This would make a great bridal or bridesmaid hair piece. It goes well with any wedding theme. It would be wonderful to give as a Valentine or birthday gift. It is very romantic and delicate. I also do bracelets and tiaras. I would be happy to do custom orders. I usually require about 2 weeks for production. Please feel free to contact me.